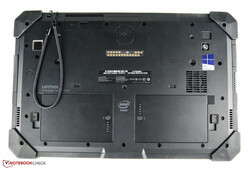 The resistant materials and various security features characterize the models in Dell's rugged line. Until now, only laptops were found in the portfolio of this series. We had the pleasure of testing the Latitude 14 Rugged and Latitude 12 Rugged extensively. Now a tablet is to also share the success. Its application field is simply endless. For example, Dell's Latitude 12 Rugged tablet can be used as a mobile construction-site device or as an input device embedded in the company. The devices are within a high price range of over 2000 Euros (~$2155). All models are equipped with an Intel Core M processor, but in different versions. Our review sample is the stronger configuration for approximately 2200 Euros (~$2370). It also includes an 8 GB working memory and 128 GB SSD. Direct rivals come from Panasonic's Toughpad series. We have already tested Panasonic's, 7-inch model, which is also available in a 13-inch size. Our first contact with the Rugged series revealed a very well-conceived design strategy. Many edges and irregularities are discovered in the haptics. The matte surface structure is very slip-proof. Rubber protectors surrounding the casing protect the device against sudden impacts. 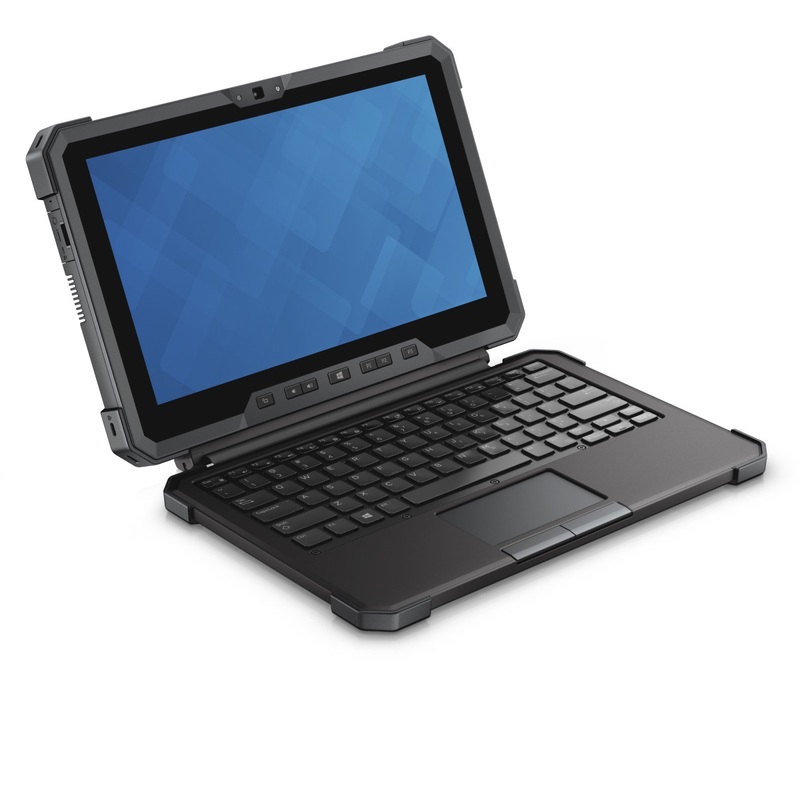 As with other laptop series, Dell's new tablet also meets the ML-STD-810 and IP-810G military standards. They include a range of tests that analyze the drop, humidity and temperature resistance. Furthermore, the HZO Protection protects the sensitive hardware against water damage. The manufacturer guarantees problem-free operation in rain. Consequently the tablet weighs a heavy 1.8 kg (~4 lb). The hot swap batteries are an interesting feature of the casing. They can be easily swapped during use. A button on the batteries' rear shows the current capacity via multiple LEDs. All interfaces are hidden behind protective flaps. The cameras also feature a privacy shutter. In addition to the standard configuration of interfaces, a SmartCard, NFC and a fingerprint reader are installed. A serial port is also included. The option of expanding the interfaces via a pogo-pin docking port is also interesting. However, we have to mention that connecting a keyboard to the docking port would also be easily possible. We did not discover more details. Only a few photos are found on the product webpage. Intel's Dual Band Wireless-AC 7265 module takes care of wireless communication, and a SIM card can be inserted in the tablet for mobile use. The casing has to be opened completely for special maintenance work. The multi-touch screen functioned impeccably in our tests, and it was even possible to use with gloves. The input identified gestures and multiple fingers without fail. Drag and drop was smooth. In addition to direct finger inputting, an integrated stylus can also be used. Stylus inputting also functioned impeccably. The only shortcoming we noticed was that the capacitive touchscreen did not function when using the stylus while the palms rested on it. Dell's Rugged tablet has some hotkeys in addition to touch inputting. The keys are stiff, but big enough to use even when wearing gloves. Perfect sight in the shade outdoors. Dell has installed a screen with a resolution of 1366x768 pixels. 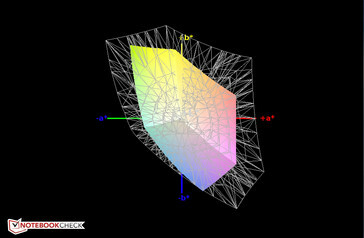 The matte panel from Sharp has an average brightness of 613 cd/m². This high brightness combined with the matte surface allows use even in the areas of direct light sources. The maximum brightness of just 404 cd/m² in battery mode is extremely disappointing. Unfortunately, the manufacturer uses a TN screen and not one based on viewing angle IPS technology. The contrast of 1345:1 is extremely good. Despite the extremely high brightness, color gradients are discernible and do not blur. Subjectively, black tones do not look really rich. The black level analysis confirms this with 0.47 cd/m². Since colors and grayscale levels are rather secondary in a rugged tablet, it is not surprising that the rates are not ideal. 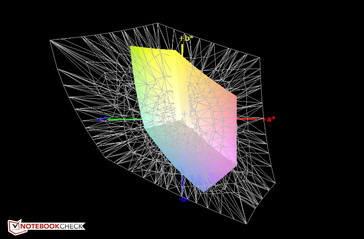 In addition to the very visible bluish tint, the shifts from the sRGB reference in colors and grayscale levels have an average DeltaE of over 11. As previously noted, a reduction in brightness will have to be reckoned with in mobile use. However, outdoor use is possible almost without problems. Only direct sunlight should be avoided. The TN panel involves making some compromises in terms of viewing angle stability. Brightness and colors are clearly distorted when tilting the tablet back and forth. Computers have to be fast, particularly in daily business use. Dell also follows this objective with its Rugged tablet. The manufacturer offers an Intel Core M-5Y10c or Intel Core M-5Y71. The cheaper model is based on the first processor, 4 GB of working memory and does not have a GPS module. The second CPU is found in our test model, which is 160 Euros (~$172) more expensive. The surcharge also includes an 8 GB working memory in dual-channel mode and a GPS module. Both configurations are equipped with a 128 GB solid-state drive. Overall,this configuration makes our review sample primarily suitable for use with office applications. 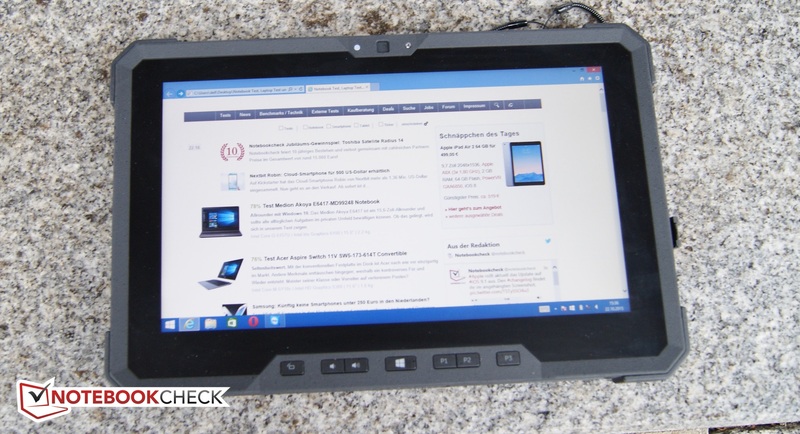 Our version of the Rugged tablet incorporates Intel's Core M-5Y71. It clocks at 1200 to 2900 MHz, has two cores and four possible threads. The processor comes from the Broadwell architecture. Intel specifies a maximum power dissipation (TDP) of 4.5 watts. We used Cinebench R15 to find out how fast the CPU operated under the given cooling management. The review sample scores noticeably worse than other devices based on the same processor in the multi-core test. A look at the clock frequencies reveals the problem: The processor's clock drops to 1600 MHz right at the beginning, and decreases to 1300 MHz in the course of the test. The results do not change in battery mode, and the tablet achieves the same performance in both AC and battery mode. Further benchmarks and comparisons with other devices and processors can be found in our dedicated article regarding mobile processors. The review sample performed all operations and processes quickly. It was fun to work with the robust tablet. The positive score of PCMark 7 confirms this rather subjective impression. Nevertheless, the review sample cannot compete with rivals based on a similar configuration. All listed comparison models also feature an SSD storage and scored better in the processor test. Time is money, and this motto applies when choosing the storage device. Our model is equipped with the base configuration of a 128 GB SSD. The storage device in M.2 format allows read rates of up to 534.4 MB/s. 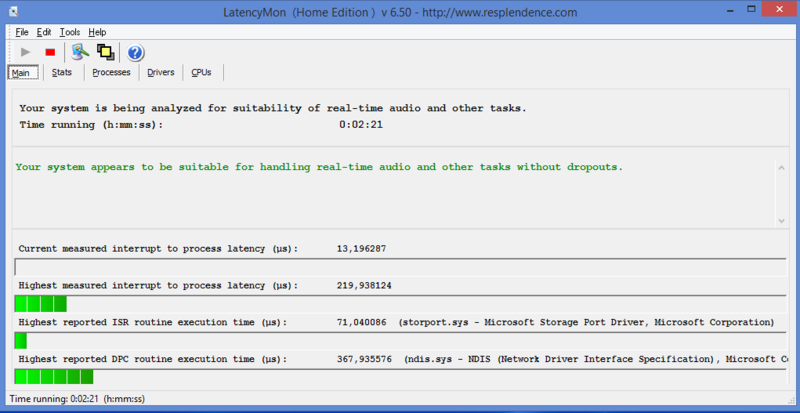 Unfortunately, the benchmarks show weaknesses in the write rates with 138.8 MB/s. The manufacturer also offers other storage device options on its page, such as a self-encrypting 256 GB SSD. The highest capacity hard drive offered is a 512 GB SSD. A CPU-integrated Intel HD Graphics 5300 graphics unit is installed. The iGPU has a core clock of 800 to 900 MHz. We use 3DMark 11 to compare the performance with devices based on a similar graphics card. Our review sample achieved 599 points. As mentioned in the processor benchmarks, other devices with the same graphics card can accomplish higher scores. Further comparisons can be found in our benchmark chart of mobile graphics cards. The review sample is cooled passively in idle mode. Since the manufacturer relies on a noiseless SSD, the device is absolutely silent. Only under load can we hear an active fan. However, the produced noise level is not distracting and reaches a maximum of almost 40 dB(A). Dell states possible use in ambient temperatures ranging from -29 °C to +63 °C (~-20 °F to ~+145 °F) for our review sample. 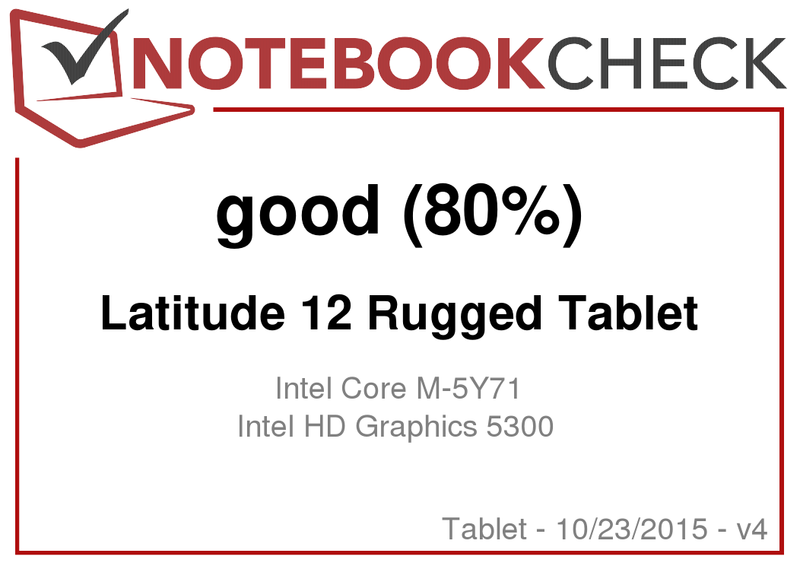 Dell's Latitude Rugged tablet was only faced with an ambient temperature of approximately 24 °C (~75 °F) in our scenario. Only one hot spot reached 41.4 °C (~107 °F) even under maximum load. Apart from this warmest spot, the rest of the tablet remained well below 40 °C (~104 °F). A look inside our review sample shows how this low temperature development affects the clock rates. We used the tools Prime95 and FurMark to provoke this stress situation. 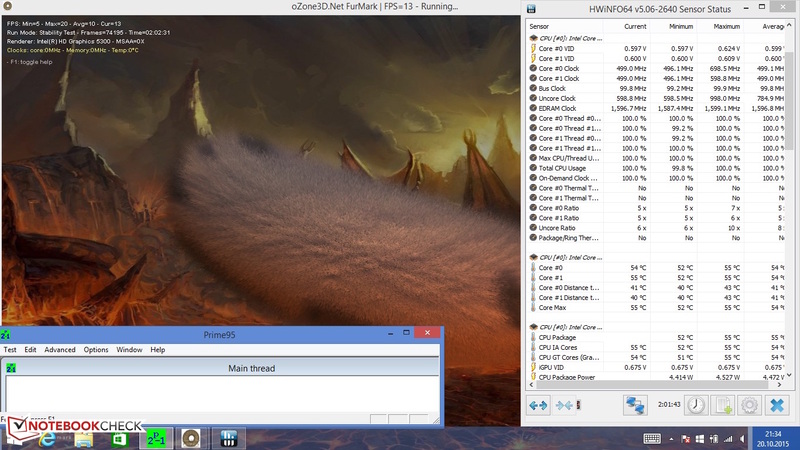 The CPU clocked consistently at 500 MHz after over one hour. The core temperature never exceeded 55 °C (~131 °F). Consequently, the device calculates far below its base rate. This also explains the benchmark scores. The processor cannot develop its full potential since it clocks down very early. The integrated speakers' good volume is compelling. System sounds remain audible even in an industrial environment. Presence and bass lack acoustically. The audio output is definitely sufficient for Skype calls or occasional videos. The idle power consumption of Dell's tablet is relatively low. Nevertheless, the review sample sometimes demanded up to 9.7 watts in maximum brightness. The device consumed 16.3 watts under medium load. The Latitude required slightly less in our stress test scenario with 15.9 watts. This is simply because the CPU reduces its clock frequency. As mentioned in the introduction, Dell has equipped its Rugged tablet with two separate 26 Wh batteries, making hot swap possible. We tested the runtimes of the 2 cell batteries in a real world scenario, namely Internet browsing using a brightness of 150 cd/m². The review sample shut down after almost eight hours. This means that it could get tight in a workday without external power, especially when the device is used excessively in maximum screen brightness. However, it is possible to buy additional batteries to extend the runtime. In a nutshell: Dell continues its Rugged lineup consistently. The manufacturer wraps an 11.6-inch tablet in a robust casing with diverse security measures. The build quality is almost impeccable. Many interfaces are offered, and the connectivity can be expanded via a dock. Dell's Latitude Rugged tablet is equipped with an extremely bright screen that impresses even outdoors. Unfortunately, the screen's brightness is dimmed considerably in battery mode. Furthermore, the manufacturer uses a TN screen with a relatively low resolution and limited viewing angles. An Intel Core M processor clocks inside, and it is responsible for a balanced system performance. The CPU's full potential cannot be completely retrieved, but does not disturb the subjectively fast work speed. The advantage is the always cool casing. Two hot swap batteries are available for mobile use. The review sample could last almost a whole workday with a practical runtime of nearly eight hours.